What I have loved about this author, is her wit and determination to succeed. When she first starting writing, she was a young wife and mother, and I am sure she had her hands full, but she also wanted something more. She loved history and writing and she loved a good love story, and we see how clear that truth is in her books. Ever since I heard of her passing, my heart went out to her. Another favorite author of mine that has passed away, but not before she left a legacy. A legacy of stories, of men and women who fought for those they loved, women who had their own minds, who were clever and sassy in a time when they were considered no more than chattel, but managed to make their will known and be respected. 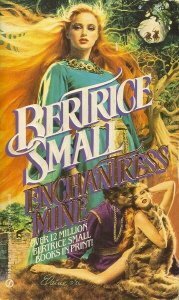 In the few books that I have read from this author, I have become to greatly respect Bertrice Small. Writing an emotional historical romance, is not easy to do. For one there is much research to be involved, unlike other genres such as contemporary or paranormal even (but even those I am sure are very challenging, and these genres as well as a few fantasy Small delved into as well), you have to take a step back in time, and try to envision what life was really like, and that it wasn’t an easy time to live in especially for women. 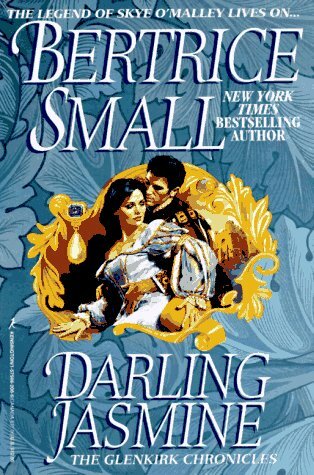 As those that have read from Small, know how she paid close attention to historical context, she never wavered from that mindset which made her books phenomenal and why she is known as the “mother of historical romance”. These stories that Bertrice Small has written, aren’t for the faint of heart. They are tough, gritty, and packed with real issues of the time. They definitely aren’t considered lighthearted or flighty in any way. But that is what I love about them. Yes there are times I am in the mood for something lighter and more upbeat and happy, but there is something so more real in stories such as these and Small had the knack for writing a story that motivated and inspired others. Her characters and the way that the plots form and develop are unlike anything you have ever read. In every story I have read from this author so far, I have seen her talent in storytelling that goes above and beyond. She never wavered from what she believed needed to be written in these books, never let what others may think to deter her from what she wanted in her books. This aspect of Small is one of my favorites, she is so well known and respected for a reason. Bertrice Small left behind a great legacy, a legacy of holding true to who you are. To never doubt yourself and what you stand for. Her stories emulate passion, stubborn will and determination, a fighting spirit and the attitude to never give in, and to make a difference in those around you. From the moment I discovered this author, I was enchanted and deeply moved. Her stories get to the core of what makes us human. The good and the bad, that which brings laughter and that which brings us grief. This is an author that has inspired thousands. If you have yet to read this author, you need to. She is an author that is must, and don’t be daunted by her stories, they will utterly captivate and you won’t regret it. 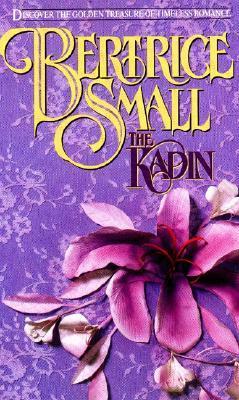 Have you read Betrice Small? If so, what are your thoughts on this author? Do you have any favorite books?